The Rams take advantage of the Tigers' mistakes and win the grand-opening game of the remodeled Waterhouse Field. 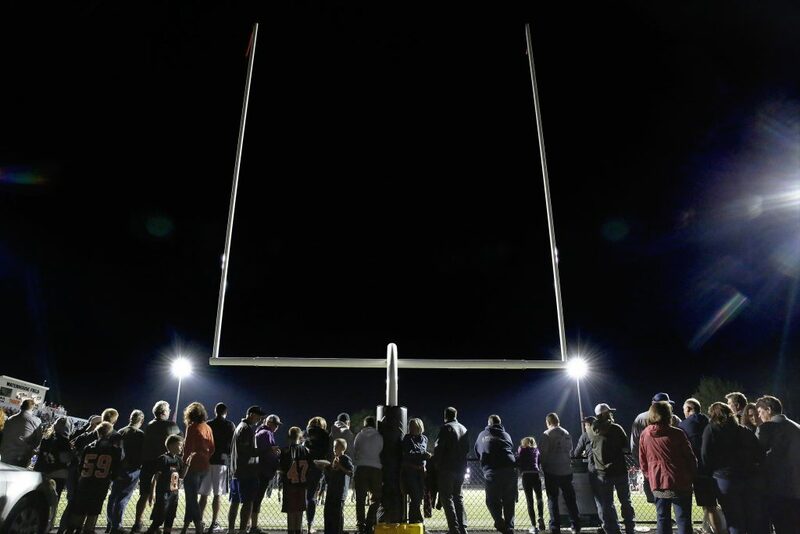 BIDDEFORD — The thing about waiting for a new field is it’s hard to practice your kicking game without goal posts. 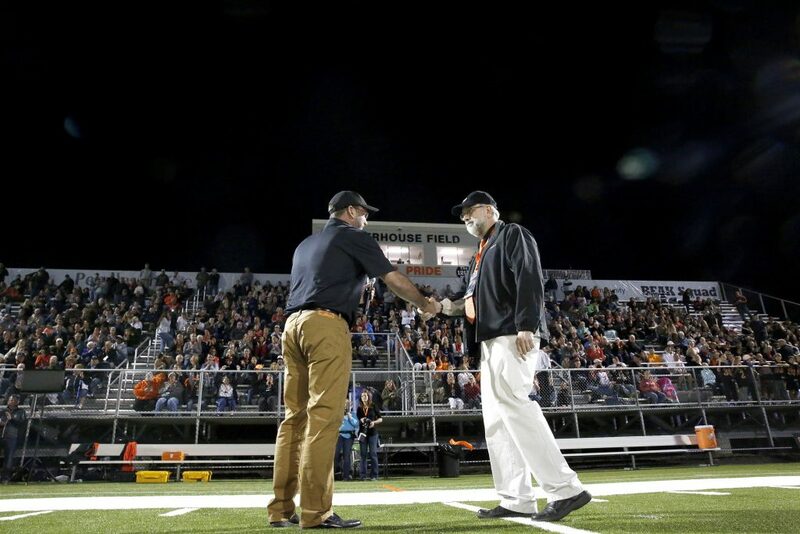 A missed field goal and a missed extra-point kick proved too much for Biddeford to overcome Friday night as Cony rallied to a 14-13 Class B football victory in the grand reopening of historic Waterhouse Field. Quarterback Dakota Andow came off the bench in the second quarter for Cony (2-0) and led both second-half scoring drives after Biddeford (1-1) opened a 13-0 lead midway through the third quarter. Riley Geyer started for the Rams but an ankle injury opened the door for Andow, who responded to the deficit by connecting on six consecutive passes, the last a 16-yard strike to Reed Hopkins. Kyle Douin’s PAT kick made it 13-7 late in the third. 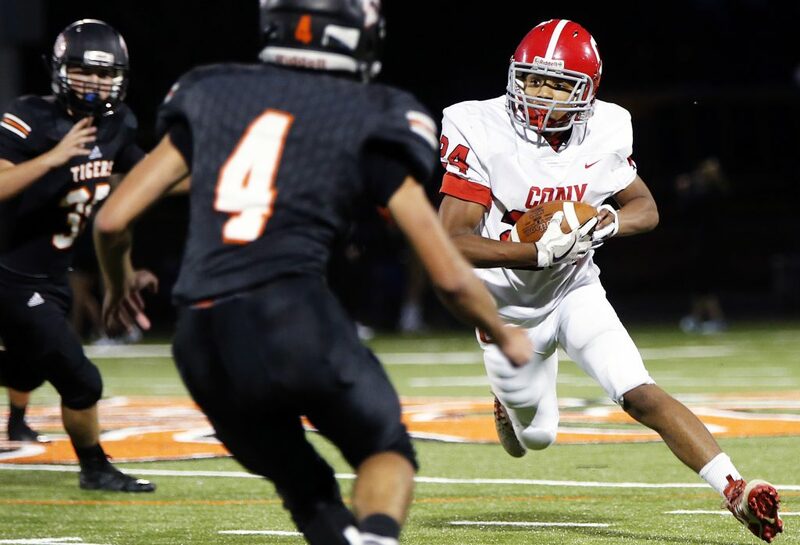 Cony’s first drive of the fourth quarter covered 80 yards and included a successful fourth-down conversion by running back Jamal Cariglia, who later skirted left end for a 10-yard score. Douin’s successful kick broke the tie and put the Rams ahead 14-13 with 7:13 left. 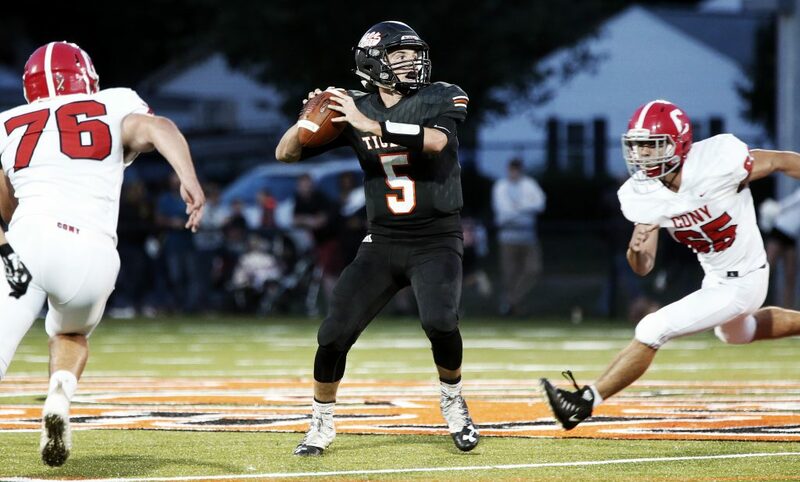 Biddeford quarterback Carter Edgerton brought the Tigers into Cony territory, but the Rams took over on downs after consecutive incompletions on the 38 with Biddeford needing three yards to earn a new set of downs. Cony ran out the final four minutes to secure the victory. After being held to 36 yards rushing in the first half, Biddeford opened the second with consecutive scoring drives featuring big holes for Aidan Donovan. A pair of 15-yard bursts set up a 34-yard touchdown pass from Carter Edgerton to Scott Kelly. Cody Saucier’s PAT kick made it 7-0 for the Tigers. 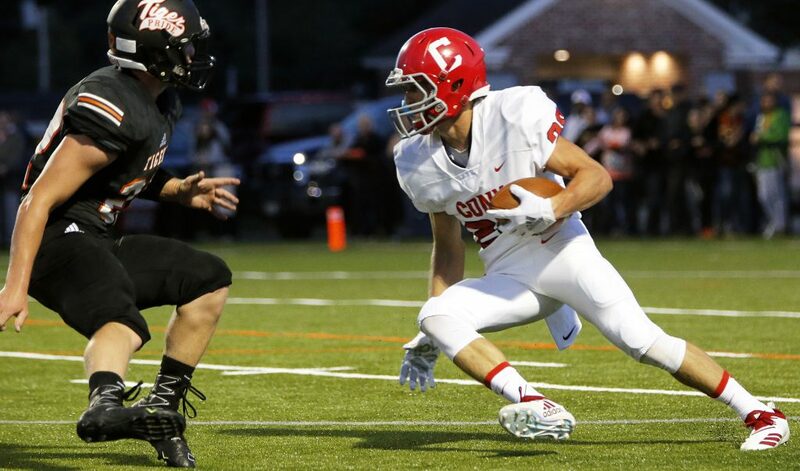 Following an Edgerton interception of Andow, the Tigers drove 78 yards on eight plays, with Kurtis Edgerton on the receiving end of a 40-yard catch-and-run from his brother for a score. Saucier’s kick was wide, leaving it at 13-0. The first half was scoreless. On its final possession of the second quarter, Cony saw a 47-yard screen pass for a touchdown negated by an illegal block. Still, the Rams recovered and drove to the 5 only to incur another penalty, for illegal motion. The drive stalled at the 10 and Cony eschewed a short field-goal attempt in favor of a fourth-down pass. An interference penalty cut the distance in half, but a second fourth-down pass fell incomplete and Biddeford took over. Earlier in the second quarter, the Tigers drove to the Cony 6 before thwarting themselves with a penalty for having 12 players in the huddle. Saucier’s 26-yard field-goal attempt drifted right. 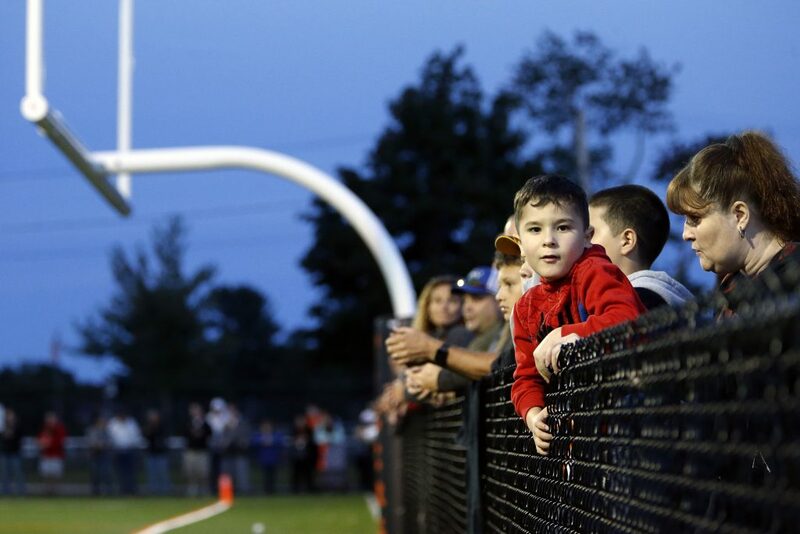 The game marked the culmination of an 18-month renovation of Waterhouse Field, which boasts new bleachers, press box, scoreboard and artificial turf. 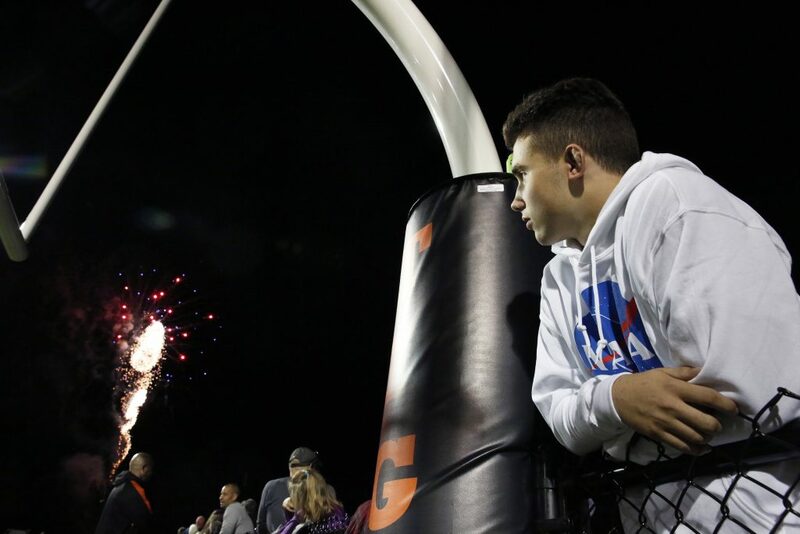 There were speeches and acknowledgements before the game, and fireworks at halftime. Biddeford Coach Brian Curit said the kicking game wasn’t the biggest reason for Biddeford coming up short. 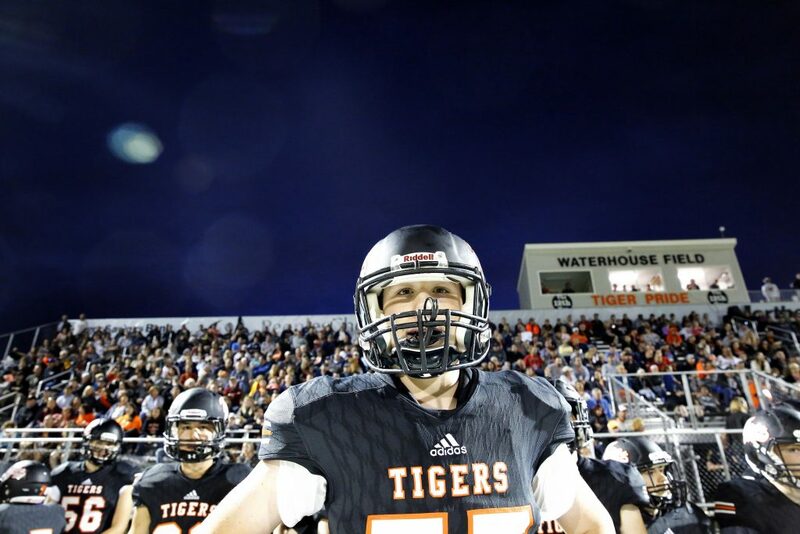 The Tigers incurred seven penalties and twice failed to have the requisite 11 players on the field, going over once and under once, resulting in a penalty and a timeout.